Ignatius was convinced that Jesuit schools held a remarkably transformative power with colossal reach. From their earliest days, they embraced a repository of values, believing that by educating young men with ideals and principles, augmented by a quest for excellence in scholarship, that graduates would indeed secure positions of authority and influence in society. 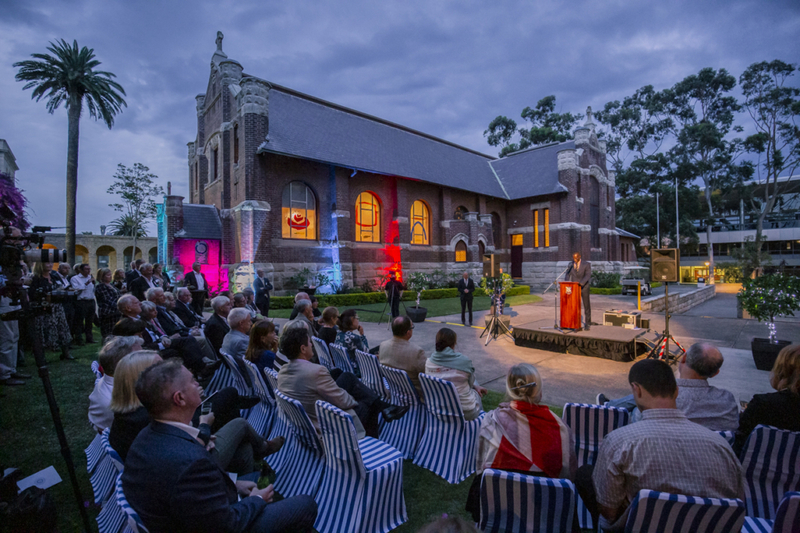 Riverview Principal Dr Paul Hine reflects on the contribution of Jesuit education to society, and how it’s made possible through the support of generous benefactors. Elijah Williams (Class of 2014) addresses the Riverview bursary function. This year, 2018, is the 470 anniversary of the foundation of Jesuit schools. It was back in 1548, in Messina in southern Italy, that the very first Jesuit school was opened. While the Society of Jesus was formed with a mission to spread the Christian faith and to inculcate young men and women with the teachings of the gospel, they had a secular purpose of improving civil society (ad civitatis utilitatem) by educating boys to earn a gainful living and fill leadership positions. In the early years, Ignatius was convinced that the schools held a remarkably transformative power with colossal reach. They embraced a repository of values, believing that by educating young men with ideals and principles, augmented by a quest for excellence in scholarship, that graduates would indeed secure positions of authority and influence in society. In so doing, they would be able to lead change and improve the social and economic station of many who were otherwise impoverished and consigned to powerlessness. Put so succinctly by acclaimed scholar and author, John W O’Malley SJ, Jesuit schools contributed to the common good by educating future leaders who would take action to improve society. It was an audacious vision, but it has driven the works of the Society of Jesus for the better part of 500 years and is still a sine qua non in Jesuit schools throughout the world today. It is an impulse that resides at the heartland of Jesuit endeavour, one compounded by a desire for the magis; that is, a desire to go more deeply and expansively into endeavours that will bring out the best in human creativity and experience – all directed towards the greater glory of God. One of the distinguishing features of the early schools was the spirit of generosity and benefaction that was responsible for the foundation and proliferation of the schools throughout Europe. All of the students were funded by benefactors who saw immense benefit in the works of the Jesuits and the impact that their graduates had in the post-schooling world. Indeed, the reputation for excellence spread so rapidly, that over a dozen schools were established by the time of Ignatius’ death in 1556. It is a compelling story, one that continues with virulence to this day, impelled by the same spirit both in form and substance that reaches back to the earliest years of the Society and the integrity of its vision. Last Tuesday evening, that story was lived out in an authentic way, when over 200 benefactors to the Bursary Program gathered in the Dalton Chapel to celebrate Mass and join in community to support those boys who – numbering just under 90 at the present time – are supported in their education by a loyal and generous group of current parents, Old Boys and friends of the College. Two recipients of the Bursary Program spoke at length about their experiences at Riverview and the debt of gratitude that they have. Both boys spoke with extraordinary insight and vision about the impact of the Bursary Program and the benefits they have received through the program. These young men, like so many other graduates, will go on to take their place in the world and make a meaningful contribution to it. We are gifted with the presence of these men and by the generosity of those whose support enables them to have access to one of the finest educational programs in Australia. By Dr Paul Hine, Principal of St Ignatius’ College, Riverview. This article first appeared in Viewpoint. Click here to learn more about the school’s bursary program.